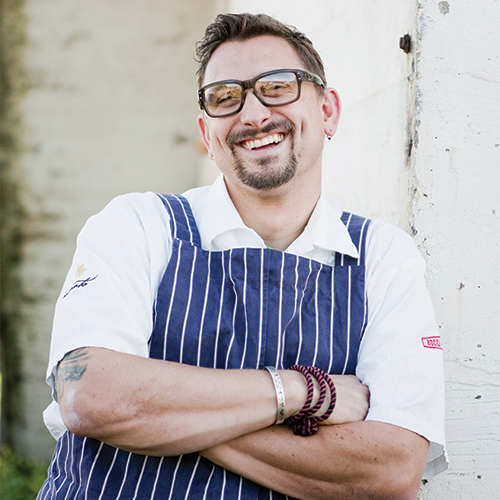 Join editors, celebrity chefs and lifestyle experts from across the West as they bring the pages of Sunset to life and showcase the region’s hottest trends in food, wine, travel, garden and home. Featured exhibits include the Sunset Backyard Cottage and Garden, Camp Sunset, and the hands-on “Winemaker for a Day” wine-blending seminar. Celebration Weekend is one of my favorite events of the year, and this year’s event is not to be missed since it will be the last that we hold on our beautiful campus. 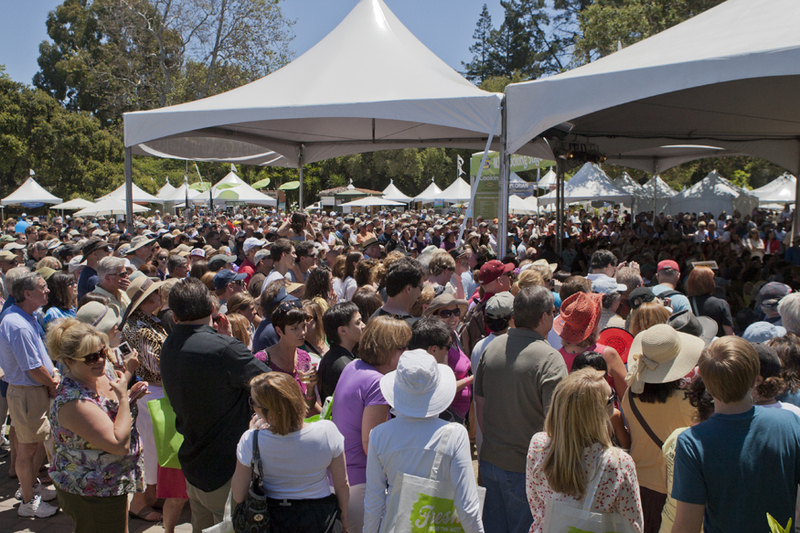 On June 6th and 7th, tens of thousands of Sunset fans will join Sunset editors, celebrity chefs—including Chris Cosentino, Martin Yan, Joanne Weir and more—and renowned lifestyle experts in Menlo Park for Sunset Celebration Weekend 2015. At Celebration Weekend, Sunset’s beautiful seven-acre campus will be transformed into an interactive showcase for the region’s most exciting lifestyle inspiration and freshest flavors. This will be visitors’ last chance to experience Celebration Weekend at the iconic Menlo Park property before Sunset moves locations at the end of the year. To purchase tickets and find more information, go to http://www.sunset.com/cw. Sunset’s Backyard Cottage and Garden will feature new ideas for decorating and landscaping a guesthouse. Inside the 400 square foot modern design by New Avenue Inc., visitors will find smart ways to maximize small space. Find inspiration in interiors designed by Orlando Soria of Homepolish. Outside, the drought-tolerant “Low Water, High Style” garden design includes lawn-free landscaping, creative hardscape ideas and low-water containers. From decorating to remodeling, design lovers will find more to love on the Home and Design Stage. Catch up with New Avenue Inc.’s Kevin Casey, the architect of the Sunset Backyard Cottage, to discover how to build your own Accessory Dwelling Unit (ADU) or, learn the design secrets of Homepolish and HGTV’s Orlando Soria. Other featured topics include outdoor decorating, DIY printmaking and midcentury modern remodeling. Camp Sunset will gather the West’s foremost outdoor experts at this first-ever interactive exhibit dedicated to sharing tips guaranteed to make camping trips tastier, comfier and more fun. Be sure to check out the newest, coolest gear from REI. Attendees will also have the chance to “learn and earn” as they are challenged to prove their Camp Sunset prowess. From completing a scavenger hunt and shaking up a camp mocktail to trail mix mixing, participants earn limited-edition badges and score prizes. This year, hops get their props as beer seminars share equal billing with Sunset’s lineup of popular wine seminars. Join Sunset Wine Editor Sara Schneider, some of the West’s most revered winemakers, and beer experts from Anchor Brewing and Mandalay Bay Resort and Casino for educational sessions that range from Pinot Noirs of the West Coast to the American Craft Beer Revolution. Wine lovers can sip medal-winning selections in the Sunset International Wine Competition Pouring Lounge, or become a “Winemaker for a Day” in the wine-blending seminar with Conn Creek. Cost per seminar: $15-$20 per person. 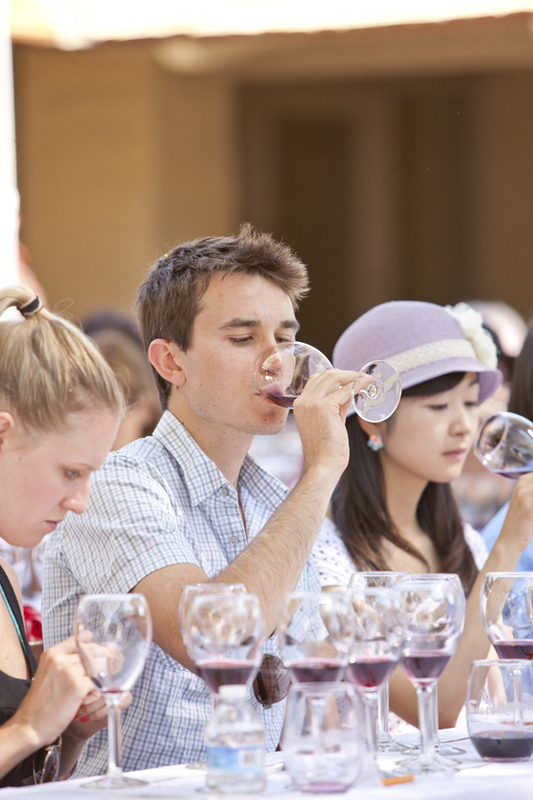 Wine seminars have limited seating and are available on a first-come, first-served basis. Sign-ups will be taken on-site while supplies last, or purchase advance tickets at Sunset.com/cw. Tastings are included in the cost of each seminar. Must be 21+ years old to attend. Sunset garden gurus Kathleen Brenzel and Johanna Silver will be joined by some of the West’s leading experts in drought-tolerant landscaping, edible gardening, and garden design at this perennially popular area of Celebration Weekend. With two full days of seminars dedicated to the garden, plant lovers will discover practical tips for living life outdoors to the fullest, while gathering strategies and information on the most responsible ways to garden during the drought. Guests can also stroll the Sunset test garden, where the editors show off favorite plants, projects, garden gadgets, and their very own chickens. The travel stage and aisle should be the first stop for anyone interested in exploring the best of the West—from winning prizes from the finalists of the first-ever Sunset Travel Awards to picking up essential travel tips from the region’s foremost experts. At the Sunset photo booth, visitors can pick, pose and post their pictures from a variety of beautiful travel backgrounds. A complete schedule of presenters and events, event information and online tickets can be found at http://www.sunset.com/cw. Discount: See 2015 Event Information at http://www.sunset.com/cw to find out how to save $1 by bicycling to the event or by taking Caltrain. Bicycle valet and shuttle buses from the Menlo Park Caltrain station will be provided. Stay up to date on Celebration Weekend 2015 by liking Sunset on Facebook (http://www.facebook.com/sunsetmagazine), and following @SunsetMag on Twitter, Instagram and Pinterest #howisunset. Sunset Celebration Weekend sponsors include Belgard Hardscapes, CA Avocado Commission, CA GROWN, Dreyer’s, GEICO, GMC, Mandalay Bay Resort and Casino, Mirassou Winery, Sunbrella, and Torani. Sunset’s community partner is the Junior League of Palo Alto • Mid Peninsula. **Sunset editors, and presenting chefs available for interviews. Recipes available by request. Sunset (http://www.sunset.com) is the leading lifestyle brand in the West. Through magazines and books, events and experiences, and digital and social media, Sunset covers the West's best flavors, destinations, design trends, and innovations. Sunset engages and inspires an audience of over five million educated, active and affluent consumers every month through its five regional print editions—Pacific Northwest, Northern California, Southern California, Southwest and Mountain—as well as via all tablet devices and its website. In addition to its print and digital publication, Sunset showcases the region’s unique lifestyle and noteworthy destinations through its flagship events, established home programs, licensing partnerships, books and International Wine Competition. Sunset is produced by Time Inc. (TIME), one of the largest media companies in the world. 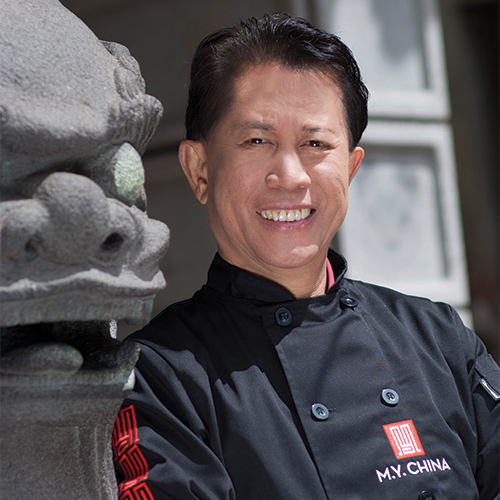 Celebration Weekend has top culinary stars, such as Martin Yan of M.Y. China presenting outstanding cooking demos. Food lovers are guaranteed to leave Celebration Weekend full of fresh ideas for the kitchen with tips from renowned chef Chris Cosentino of Boccalone Salumeria and Cockscomb. 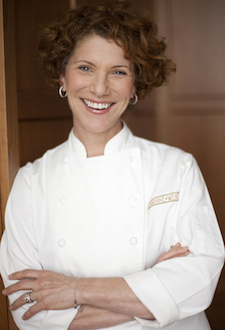 Catch some of the food world’s brightest upcoming and established culinary stars at Celebration Weekend, including Joanne Weir of Copita. This will be visitors’ last chance to experience Celebration Weekend at the iconic Menlo Park property before Sunset moves locations at the end of the year. Wine lovers can sip medal-winning selections in the Sunset International Wine Competition Pouring Lounge, or become a “Winemaker for a Day” in the wine-blending seminar with Conn Creek.